New modern kitchen and bathroom recently fitted. We are pleased to advertise this lovely two bedroom detached bungalow, situated in a great location in the village of Ickwell. This property over looks ICKWELL GREEN and has some lovely walks surrounding the village. 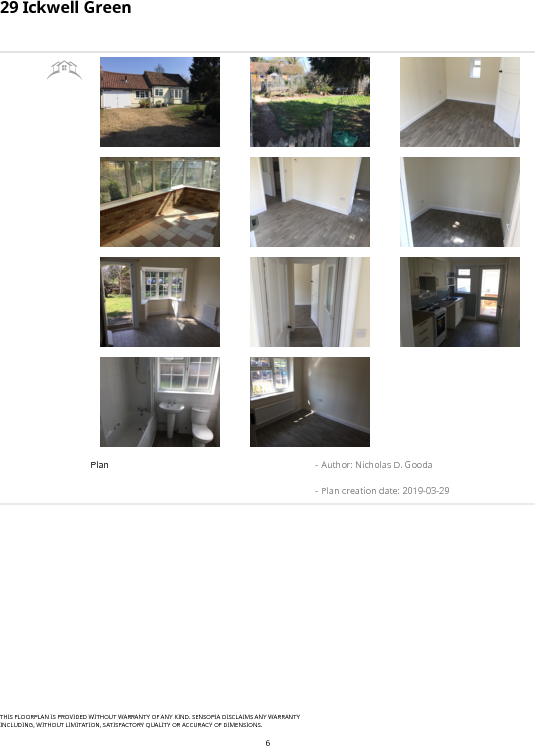 You walk through the front door into the lounge, off to the side is one room, which can be used as a bedroom or study, all rooms have recently been decorated throughout and new flooring laid. The hallway leads off into the new modern kitchen with room for a washing machine and fridge, leading into the conservatory over looking the good sized garden. The bathroom is new and modern, and then leads from the hallway to the master bedroom. This property is run by Oil and electric. This bungalow is lovely and cosy, an excellent location. This property is marketed by Sellors and Lettors, Biggleswade at £895 per month. Rightmove has calculated the price per week for comparison purposes only. £240 per person £400 per couple check out fees apply. Property reference 29thegreen. The information displayed about this property comprises a property advertisement. Rightmove.co.uk makes no warranty as to the accuracy or completeness of the advertisement or any linked or associated information, and Rightmove has no control over the content. This property advertisement does not constitute property particulars. The information is provided and maintained by Sellors and Lettors, Biggleswade.